Here is the vibrant, colorful, high-stepping story of tap—the first comprehensive, fully documented history of a uniquely American art form, exploring all aspects of the intricate musical and social exchange that evolved from Afro-Irish percussive step dances like the jig, gioube, buck-and-wing, and juba to the work of such contemporary tap luminaries as Gregory Hines, Brenda Bufalino, Dianne Walker, and Savion Glover. In Tap Dancing America, Constance Valis Hill, herself an accomplished jazz tap dancer, choreographer, and performance scholar, begins with a dramatic account of a buck dance challenge between Bill "Bojangles" Robinson and Harry Swinton at Brooklyn's Bijou Theatre, on March 30, 1900, and proceeds decade by decade through the 20th century to the present day. She vividly describes tap's musical styles and steps—from buck-and-wing and ragtime stepping at the turn of the century; jazz tapping to the rhythms of hot jazz, swing, and bebop in the '20s, '30s and '40s; to hip-hop-inflected hitting and hoofing in heels (high and low) from the 1990s right up to today. 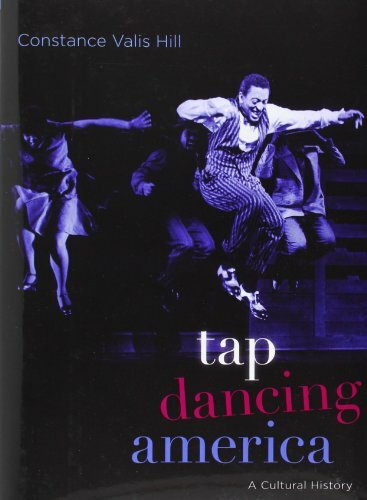 Tap was long considered "a man's game," and Hill's is the first history to highlight such outstanding female dancers as Ada Overton Walker, Kitty O'Neill, and Alice Whitman, at the turn of the 20th century, as well as the pioneering women composers of the tap renaissance, in the 70s and 80s, and the hard-hitting rhythm-tapping women of the millennium such as Chloe Arnold, Ayodele Casel, Michelle Dorrance, and Dormeshia Sumbry Edwards. 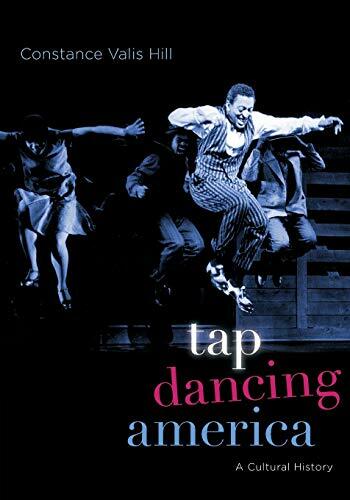 Written with all the verve and grace of tap itself, drawing on eye-witness accounts of early performances as well as interviews with today's greatest tappers, and richly illustrated with over ninety images, Tap Dancing America fills a major gap in American dance history and places tap firmly center stage. Constance Valis Hill is a jazz tap dancer, choreographer, and highly respected scholar of performance studies whose writings have appeared in Dance Magazine, Village Voice, Dance Research Journal, Studies in Dance History, and Discourses in Dance. She studied tap dance with Charles "Cookie" Cook and various members of the Copasetics; performed as one member of the tap-dancing Doilie Sisters; and directed "Sole Sisters" for the Changing Times Tap Company. Her book, Brotherhood in Rhythm: The Jazz Tap Dancing of the Nicholas Brothers (2000), received the ASCAP Deems Taylor Award. She is a Five College Professor of Dance at Hampshire College in Amherst, Massachusetts.